Enjoy Science Park & Dino Park ! 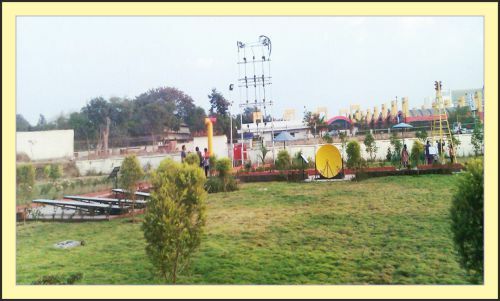 Beyond the four walls of the science centre is the Science Park along with a small ecological park. The Science Park sprawling over an 3.5 acres area makes learning of science concepts easy, in a non-coercive and lush green environment. It consists of several interactive exhibits that explain various principles of science. 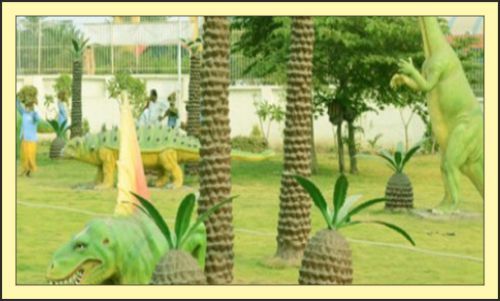 Prehistoric park with dinosaurs of different era presented along with the flora of Mesozoic period. These displays are supported with information regarding their size, weight, their body construction along with food habits and their life span.